Happy Valentine's Day Friends! We are just ONE day away, have you picked up your gifts yet? I read the most interesting statistic today...Most people wait until the day before Valentine's Day to buy gifts for their loved ones, according to a market research survey. The survey shared by the Chicago Tribune says that 78 percent of people who celebrate Valentine's Day plan to shop a week or less before the holiday...WHAT!?! That's a lot of last minute shoppers out there!!! 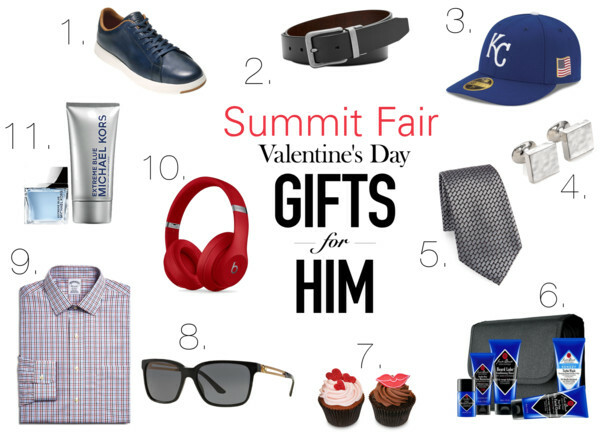 Well have no fear...today I am bringing you a girly Valentine's Date Look PLUS a Last Minute Gift Guide for Him all from the stores at Summit Fair! 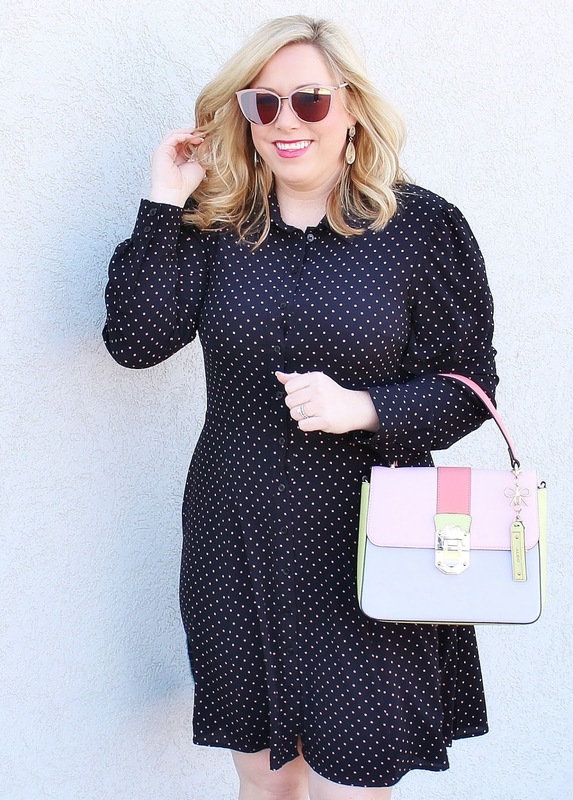 This pretty polka-dot swing dress with button up details is perfect for a Day or Night date. I styled it for day with pink ballet flats but it could easily be transitioned for a date night out on the town with heels and a jacket instead. I've also rounded up some foolproof gifts at various price points that your man will definitely love! Scroll down to browse my picks! 5. Tie (Jos.A.Bank) Buy One Get One FREE! Love this look on you, love your bag and flats! Great gift guide too! these are great gift ideas girlie!! Just stumbled upon this via style collective. First of all you look absolutely stunning! Second, I love your web design. Keep rocking it girl! Such great ideas! I just picked mine up today! 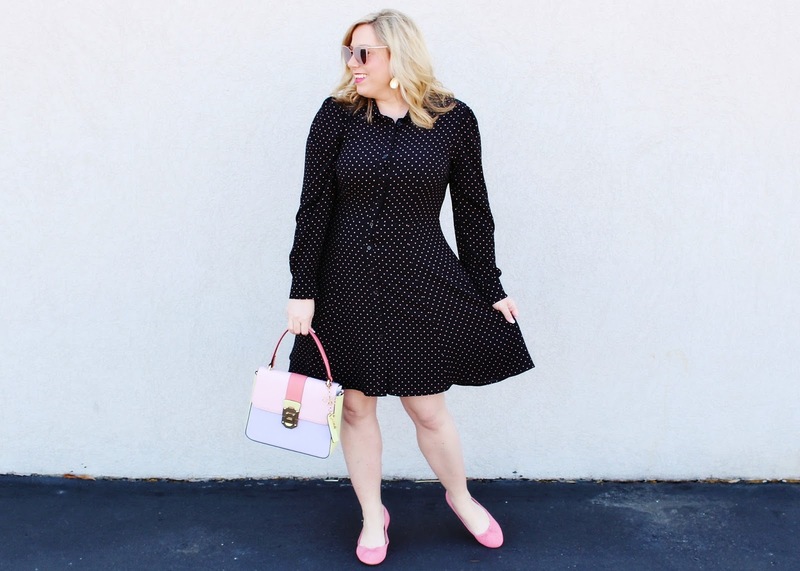 Loving the polka dots and the pink accents for Valentine's!!! Lovin' that cute bag <3 That statistic is so accurate for me. I always wait till the day before to pick something up for the Hubby. Love your Men's gift guide ideas ! Love this post so much! Amazing look! I'm loving your outfit! So cute! I love polka dots! So cute! If I bought my hubs a gift, I'm sure it would be at the last minute! These are perfect! Hey Natalie! Haha! Don't worry you wouldn't be alone :) Last minute always works for me too! Great gift ideas! I am totally loving that dress though, it's so pretty and flirty!